One of only two jockeys to win multiple stakes last week, Jose Montano was named the Foundation Detox Jockeys' Guild Jockey of the Week for October 8 – 14, 2018. The award is voted on by a panel of experts for riding accomplishments by members of the Jockeys' Guild, the organization which represents more than 950 riders in North America. Jockey of the Week is sponsored by FoundationDetox.com, America's #1 Equine Toxin Remover. 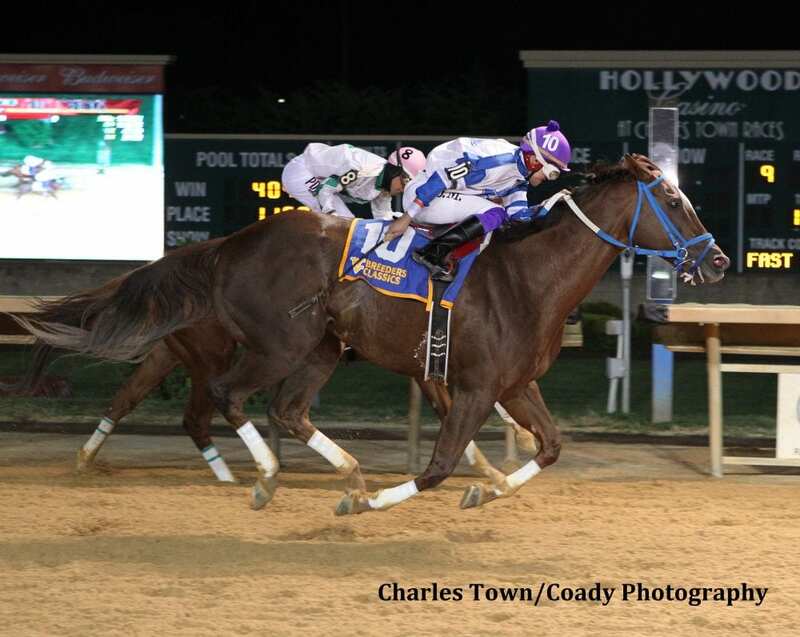 Montano had a mount in seven stakes races on the Saturday night card at Charles Town, an annual festival of stakes celebrating West Virginia-bred horses. His first win came in the $75,000 West Virginia Lottery Breeders' Classic Stakes with Buff's Eye View ($15.00) by a head, defeating a field of seven other 3-year-olds. He returned to the winner's circle two races later with Follow the Notion ($12.40) in the $75,000 West Virginia Thoroughbred Breeders Association Onion Juice Breeders' Classic Stakes, closing far back from tenth place early to finish by nearly a length at the wire in the seven-furlong event for older horses. Montano was honored with the Eclipse Award for Outstanding Apprentice Jockey in 2012, besting fellow apprentice Irad Ortiz, Jr. A native of Mexico, Montano began riding in 2011 at Mountaineer but soon moved to his current home base of Charles Town. He was ranked 10th overall by wins among all North American jockeys in 2015, and he won his 1,000th race in December of 2016, all at Charles Town. Still in search of a graded stakes victory, Montano is a multiple stakes winner and had a mount in the 2017 Charles Town Oaks (G3). He was a regular rider for Russell Road, whose career spanned seven years as one of only two West Virginia-bred horses to earn more than $2 million. Montano and Russell Road combined for several of the gelding's 23 stakes victories, including the West Virginia Breeders' Classic in 2014. Montano's stakes wins were his only wins of the week in his 11 starts, for a win rate of 18%. He finished in the money on 27% of his mounts. He has won 88 of his 367 starts in 2018 and is 1,194 for 5,240 in his career. Currently, Montano sits in second place behind Arnaldo Bocachica by number of races won at the current Charles Town meet. Last week, Montano added $89,836 to his 2018 total of $1,366,800. In his career to date, he has racked up earnings of $18.67 million. This entry was posted in NL List, People and tagged buff's eye view, Charles Town, eclipse award, follow the notion, jockey, jockey of the week, jockeys guild jockey of the week, jockeys' guild, jose montano, russell road, West Virginia by Press Release. Bookmark the permalink.